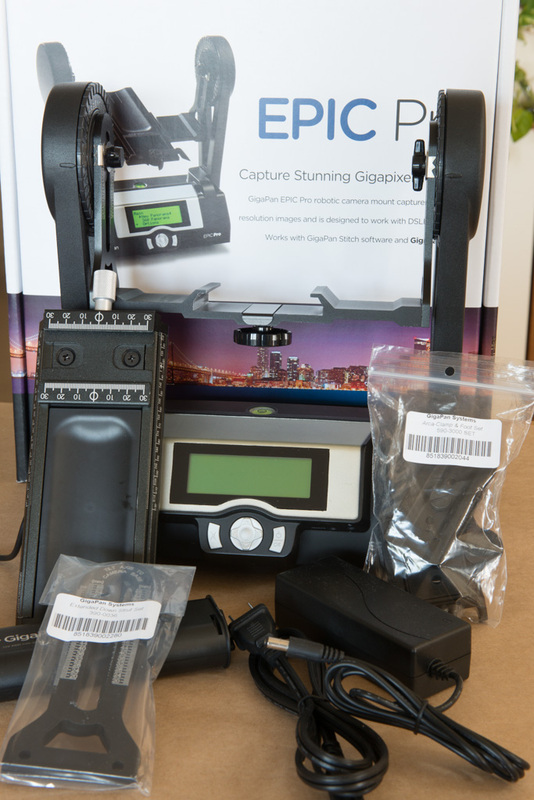 As a professional landscape, wildlife and travel photographer, I eagerly awaited the arrival of my Gigapan Epic Pro test unit. I had been reading a lot of press about this techno-marvel, and was especially impressed by George Lepp’s experience. George is a veteran photographer who I admire. I should also mention that here at Les Picker Fine Art Photography we produce some very large images for my clients. Nowadays a 30”x40” print is average size for us. We have done murals for clients that range from 17-feet wide and ten feet tall to 30-feet x 10-feet and I’ve blogged about those installations before. To create eye-popping oversized prints pixel density is critical. Blowing up a 12-megapixel image just can’t cut it. Even my 36-megapixel Nikon D800 would be taxed when creating an 8-foot print. Enter Gigapan. Gigapan was initially created by scientists at NASA and Carnegie Mellon University in Pittsburgh to take ultra-high resolution images for applications such as the lunar and Mars rovers. The theory behind it is that you photograph a scene in pieces, each with a telephoto lens, you then piece the image together and thereby get absolutely huge pixel counts with tons of definition in the resulting image. Once the photo system was deployed, they commercialized it and created the Gigapan system for our non-robotic arms. So when my test unit arrived from Gigapan, I unboxed it, quickly tested it on my deck and immediately loaded it into a separate backpack to take with me to Colorado’s most wondrous Garden of the Gods to put it through its paces. The adventure had begun. The first thing I have to report is that the Gigapan is a beast to carry. I am a “senior” photographer, but I still hike all day in mountainous terrain with 30 pounds of gear on my back. I simply could not imagine hauling a Gigapan in addition. It is both bulky and heavy, especially since you will need to carry at least two batteries. Gigapan even sells a tailored backpack to house the unit, but I tried to make do with a single, large LowePro Trekker AW400 (click here for my review of that pack). That’s why I field tested it at the Garden of the Gods, since I knew I could drive to various locations there and put it to the test only yards from my rental car. As it turned out, my first day of shooting was a breeze, primarily because there were no breezes, but I’ll get to that later. The initial setup of the day was laborious. The unit has to be attached to a sturdy tripod (I use a Gitzo 3541) and various parts must be assembled. Then the camera and lens has to be mounted. You also must also have pre-determined your parallax (nodal) point in order to mount the camera properly to capture good panos. I used a Nikon D800 for the tests, with a 70-200mm or a 200-400mm Nikkor lens attached. The tripod must also be leveled. Ready, Set, Set, Set, Go! Once mounted, the menu setup is reasonably simple. The Gigapan base has a screen that walks you through the menu items in sequence. Once that is done, you simply move the camera to the upper right and let the camera know that is where you would like the pano to start. Then you move it to the lower right using its mechanical movements to tell it where you want the pano to end. The unit then calculates how many images are needed to capture the scene, given the lens and focal length you’ve specified during menu setup. Press a button and VOILA! The camera/lens automagically points to the upper left of the scene, clicks, then moves to the next spot in the sequence, click, until it ends on the bottom right. There are even ways to tweak your setup. For example, if you want to minimize camera shake, you can program your camera for mirror lock-up and Gigapan will adjust. You can even do a series of bracketed exposures at each capture station (although the directions I got with the unit were unclear on how to do this… you have to have mirror-up set on both the camera and the Gigapan). Also, bracketing on the D800 is limited by Nikon to 1 EV increments, meaning that you will need to take 5 excruciatingly slow captures to get 2 EV increments. The results of a Gigapan session can be amazing, showing detail you can hardly imagine. 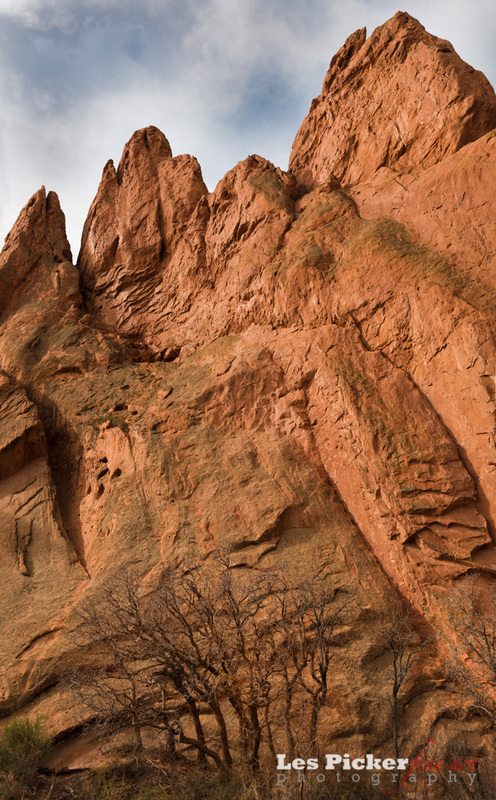 Witness this image I took at Garden of the Gods using 63 separate exposures. I imported the images into Lightroom 4, exported them as TIFFs to PTGUI which stitched them together easily, then imported the resulting TIFF back into LR4. A couple of adjustment tweaks later and here it is. So why is it that I returned the unit to Gigpan after the trial and won’t be purchasing one, at least not now? The simple answer is that I simply cannot incorporate it into my fieldwork. It is that bulky and heavy. I work alone and sometimes hike for 10 hours a day in rugged terrain. Even on my recent trip to Italy I would not consider schlepping it along. However, if you are the type of photographer who plans to drive to your destinations, the bulk and weight objection may not be pertinent. Unfortunately, there are a few other issues that made me decide against the Gigapan. First, the build quality is not what I expected. The bracket that holds the camera, for example, is flimsier than it should be, especially when mounting a DSLR with a 200-400 zoom. In fact, Really Right Stuff sells a replacement bracket for the Gigapan that is far sturdier, but also costly, adding $140-$270 to the Gigapan Epic Pro’s $895 price tag. This brings up my next issue with the Gigapan unit. It is not stable enough in operation for pro-quality results in some environmental situations. With a DSLR and 200-400 mounted, the camera/lens shakes for 4-6 seconds after it comes to a stop. Gigapan builds in a “solution” to handle that. You can dial in a delay of as many seconds as you need to allow the setup to stabilize. Unfortunately, that brings up the next objection that I have to the process. Think of it; if you build in the stabilizing delay and a mirror-lockup delay and the movement from position to position delay, one 63-image pano can take 10-15 or more minutes to complete! That’s long enough for the lighting and clouds to change radically. That happened to me several times, which means that you have an impossible post-processing job to open shadows or tone down blown highlights. Further complicating this scenario is that the Gigapan is virtually useless in even moderate winds. The unit acts like a sail and in my experience the camera never stopped shaking even after the 6-second delay, making all of my panos that second day completely unusable. I hung my 30-pound backpack on the tripod, and it helped only slightly. Finally, the battery, while quite big and heavy, does not last long with the setup I had. In Gigapan’s defense it takes a lot of power to manipulate a Nikon D800 and monster 200-400 lens. But I had to carry two very heavy batteries to get through even half a day’s shoot. In the final analysis, I feel as if I can do as good a job using mechanical tools for my panos, like the Really Right Stuff pano equipment, even for multi-row captures. I would surely capture the pano far faster so as not to miss a once-in-a-lifetime lighting opportunity. In fact I shot the following panos on the Gigapan and then did the same with my RRS setup in ¼ the time. The images here are the ones I took with my RRS setup or my 24mm tilt-shift. Despite my misgivings- and I remind you that this review is only one person’s opinion- the Gigapan Epic Pro is a lot of fun to operate and it certainly draws a crowd. For me that’s the kiss of death, since one of the prime reasons I do landscape/nature photography is for the solitude that allows me to appreciate the beauty that surrounds me and focus on the tasks at hand. But I can see that Gigapan has wide appeal (they’ve sold a bunch of these babies) to those who can appreciate its merits and can deal with the issues I raised in this review. I do think that Gigapan will continue to develop the product and I can see a time when my calculus will change in favor of Gigapan. But, until then, I plan to stick with my tested and true method of capturing panos. In fact, I’ve already done two blogs on the topic (Part 1 and Part 2) and I’ll plan to do more how-to blogs. As always, I welcome comments, divergent opinions and suggestions.